Minister Momen came up with the figure at a media briefing at the Ministry of Foreign Affairs. 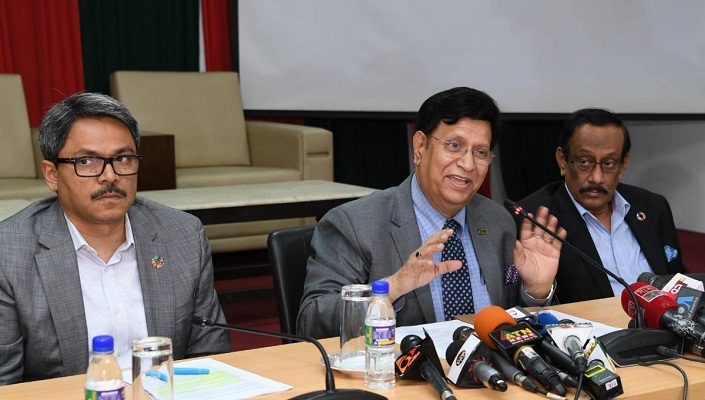 State Minister for Foreign Affairs M Shahriar and Foreign Secretary M Shahidul Haque were also present at the media briefing. Among the injured, the condition of Lipi, wife of Masud and hailing from Kishoreganj, is critical, and she has undergone two surgeries and might take another surgery. Mutassim, hailing from Gazipur, and Sheikh Hasan Rubel who sustained bullet wounds in their feet are out of danger. Another Bangladesh national, Shaon, is missing. The Foreign Minister said there was delay in disseminating information initially as the New Zealand Hospital Authority has just started providing information. He said the New Zealand government has informed Bangladesh that they will take one close relative from each of the victims' families to New Zealand and they will be able to bring the bodies back home. They also decided to hand over the dead bodies of Bangladeshi victims fallen at the acts of terror at Christchurch, New Zealand to an individual family member, who can travel to New Zealand. In order to facilitate the visa of New Zealand, one individual member from the victim’s family can apply for New Zealand visa online and upon completion of the visa application; he may contact the aforementioned official. The online visa application website is as below: https://www.immigration.govt.nz/about-us/media-centre/news-notifications/family-members-of-mosque-incident. The Foreign Minister said Bangladesh issued travel alert for Bangladesh nationals who intend to visit New Zealand suggesting them to remain cautious. Meanwhile, the High Commission directly and through the Honorary Consul of Bangladesh in Auckland disseminated message to the Bangladeshis and diasporas living in New Zealand in general and Christchurch in particular to remain calm, be indoors, avoid the places of congregation and obey the instructions of law enforcers.